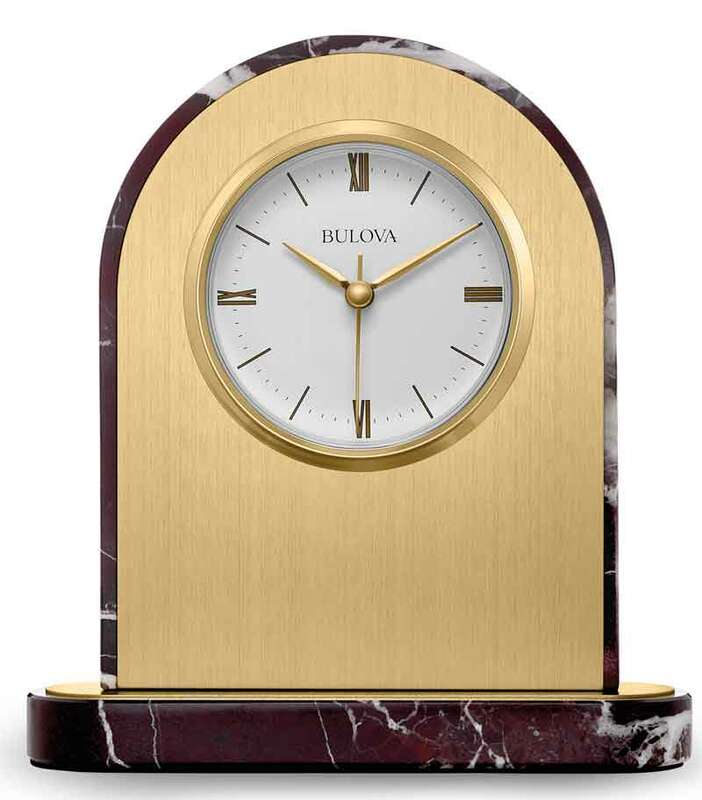 The Bulova B5012 Desire Desk Clock Case is solid imported Turkish Rosso Levanto polished marble base and sides with white accent veining. 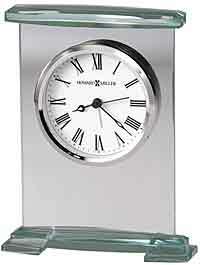 Contemporary dial has Roman numerals and hour markers with brass contoured hands. Vertical brushed brass-finish front with a removable face plate. Protective glass lens. Additional engraving plate included (3" x .5", 7.6cm x 1.3cm). 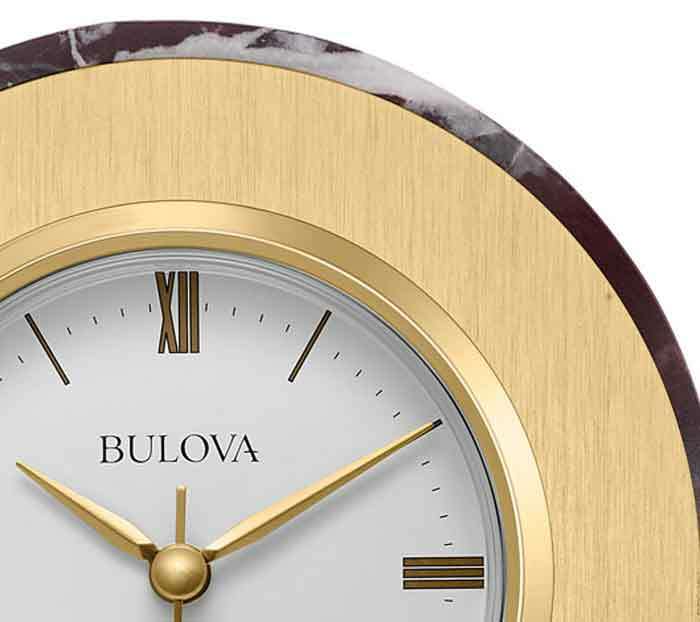 Accurate Bulova Quartz movement requires (1) AA battery. 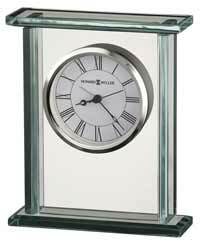 Clocks for sale at The Clock Depot including the B5012-DS at discount prices.